A table is one of the most important furniture items that is used worldwide in house, offices, bars, cafes and restaurants. A good sitting arrangement can never be complete without a properly designed and place wooden table. Though the tables are made with different materials but most importantly they are made with the wood. Today we are going to recycle a wooden pallet rustic table. A table does not necessarily hold one unified design, it certainly varies in shape color and other features. The rustic table we are going to recycle with pallet wood today is also pretty different in its shape design and appearance. 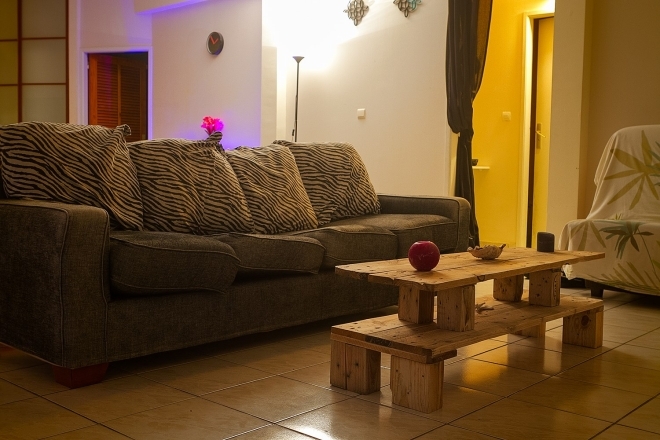 We have already made a number of wooden pallet coffee tables. Many of them were the conventional ones with straight and simple design, a few of them were with the additional storage space. But this one rustic table is again a simple but unique one. This is meant to be the choice of those who always want to get their life filled with charm of change. The ones who always keep on exploring different ideas to bring about the change. A mere rustic table can be a source of appreciation and charm if it is made properly and accordingly. So the most focused feature of today’s rustic table is its design. Now switch towards the actual project of the day. This pallet wooden rustic table is pretty unique in its design if we have a look on its appearance. 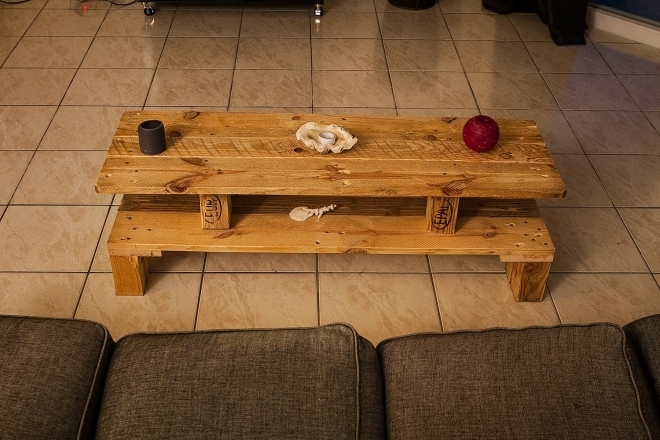 It is a multi layered or multi storey rustic pallet table. 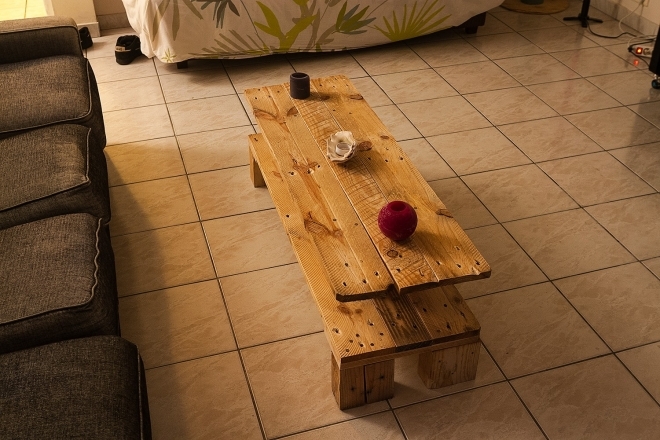 Some raw wooden pallets are recycled here in making this table. Apparently it looks like just a couple of wood pallets are put one on another but they are fixed and nailed properly to make it one whole unit. This is a simple but yet attractive rustic table.